From the most original mind in supernatural suspense... 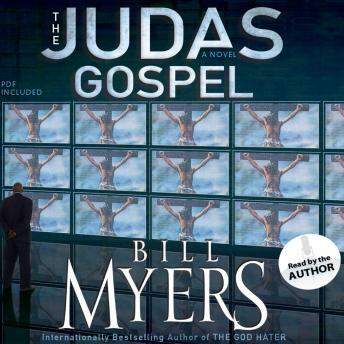 Award-winning Bill Myers asks: "What would happen if Judas came back today?" Judas wants a second chance. As a marketing expert, he never understood why God didn’t use his abilities to sell Jesus to the masses and more effectively save the world. So God allows Judas to return to earth today to become the PR manager of a powerful young prophetess growing up in the inner city. But she has some very dark baggage... Among her supernatural powers come horrifying dreams of a serial killer stalking the city. Dreams so realistic that she may be the killer. At least that’s what the LAPD detectives think. And they may not be wrong. Either way, Judas sees this as the perfect media opportunity to turn the young woman into an evangelical superstar. Utilizing the latest tools and ploys of today’s televangelists (the good and the bad), Judas uses her to sell the gospel like never before...while slowly and gradually destroying her soul. The Judas Gospel is both a supernatural thriller and a thought-provoking look at today’s mass marketing of Jesus Christ.